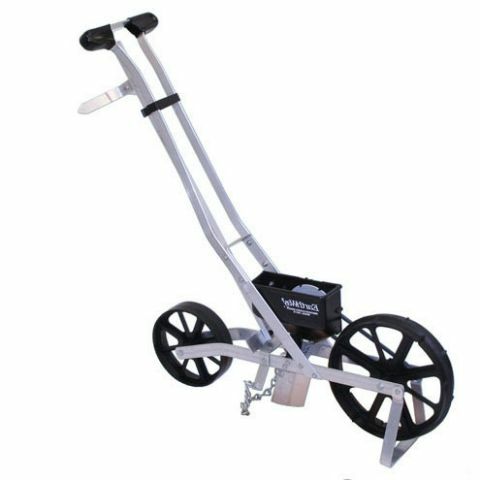 The Earthway Precision Garden Seeder takes the work out of planting. The seeder comes with 6 easy to change seed plates. 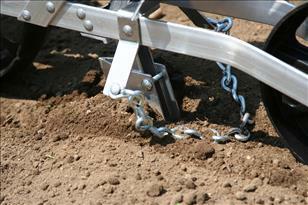 The adjustable ground-opener drops the seed at the desired depth. 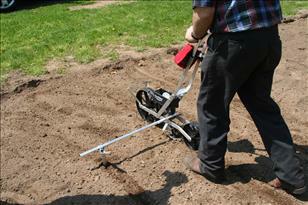 Seeds are covered, soil is packed, and the next row is marked in one simple operation. An ideal row crop planter, the 1001-B is a tool that takes the guesswork out of planting any row crop. Here’s how it works: install one of the precision seed plates that best fits your seed, then adjust the depth of planting on the ground opener, and then set your 30” long row marker for the desired width, then fill the seed hopper with seeds, then begin pushing in your well tilled soil, that’s it. The results will speak for themselves when days later you look at your garden and see all the row crops come out of the ground at the same time; perfect, making you the envy of all gardeners who don’t have the 1001-B. 1001-B plants at precise depth, a precise spacing, and covers and packs all in one operation. Eliminating the problems of seed rot and skipped plants. If you have problems with small seeds getting behind the seed plate, dip the seed plate in soapy water then let air dry. This should solve your problem. You can adjust the spacing of the seeds by covering one or more holes in the seed plate with bees wax.